Posted on February 1, 2014 at 1:24 am. February we started off studying Internal Organs. We learned the brain is the control center of your body that sends and receives. Our lungs help us breathe, the heart pumps our blood and the stomach begins to digest our food with acid. The small intestines digest the food and send nutrients to the rest of our body and the large intestines push through the waste that creates our bowel movements. 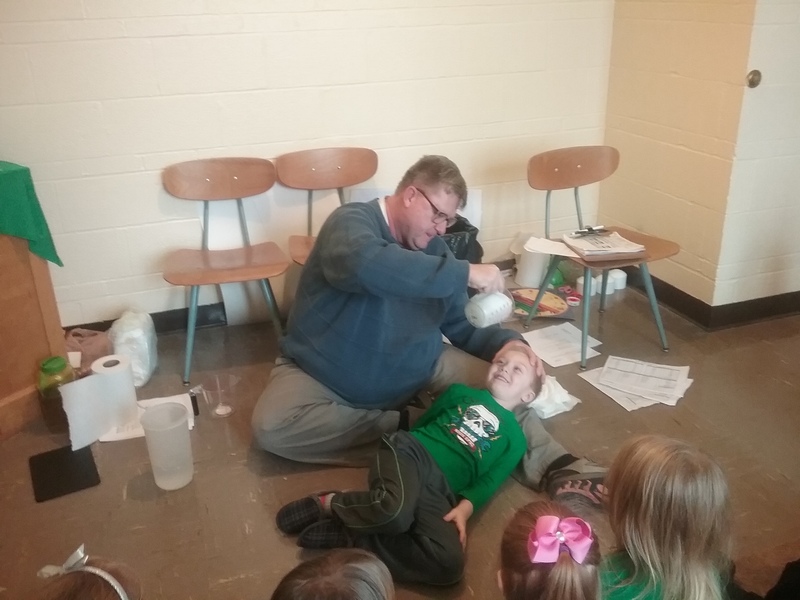 The children were fascinated that our kidneys process the body’s water and the liver filters toxins. The children learned where the organs are located with the help of our Living Internal Organ T-shirt. The shirt helped the children find the organs location by velcroing the organs to the corresponding spot on the t-shirt. The following week we learned about George Washington and how he was our first president and how Abraham Lincoln came from a poor family and freed the slaves. We were introduced to Franklin F. Roosevelt and how he was president during World War II and how John F. Kennedy fought for equal rights. We then learned that Barack Obama was current president and the first African American president. The children were taught that the president’s wives are called the first lady and that the president lives in the white house in Washington DC, and flies on a jet called Air Force 1. We discussed what responsibilities the President has. The children came up with keeping us safe, keeping the world safe and running the country. Many coloring pages were used as well as coloring pages to help identify which president is on what coin. We went back in time to discover some ancient cultures. First, we went to ancient Egypt and learned that their kings were called Pharaohs and when the Pharaohs died they used a process called mummification to preserve their bodies. We saw that the mummies on Scooby Doo were not the same as the mummies of the ancient Egyptians! The Pharaohs were sent to the after-world with gold, jewels and treasured personal items. The ancient Egyptians built the pyramids and the sphinx and used hieroglyphics to write stories. We visited Mt. Olympus and met some gods and goddesses. We met Zeus the god of the sky and the heavens. He rode a winged horse called Pegasus and if you angered Zeus he would throw a lightning bolt at you. We went to the depths of the ocean and met Poseidon. Poseidon was the god of the seas. He rode a chariot pulled by horses and carried a trident. Stay on the good side of him if you want to sail safely across the ocean. Then we met Hades the god of the underworld and of the dead. He liked when people died because he thought he would be stronger with more people to rule and he had a three headed dog on a leash. We discovered there were some very interesting mythical creatures in ancient Greece, the Centaur that had the body of a horse and chest and head of a man. The Cyclopes were giant one eyed creatures who fought for Zeus and made Zeus’s lightning bolts. Finally we learned the name of the three headed dog of Hades. It was known as Cerberus and it guarded the gates of the underworld. The class has been counting to 10 in twenty-six different languages, English (that is our native language), Spanish, Sign Language, German, French, Japanese, Greek, Arabic w/Lebanese dialect, Italian, Romanian, Russian, Hebrew, Swedish, Korean, Polish, Hungarian, Tagalog, Hebrew, Korean, Hungarian, Polish, Irish, Kiswahili, Welsh, Dutch/Flemish, and Serbo-Croatian. We started out the month introducing addition using the golden beads. 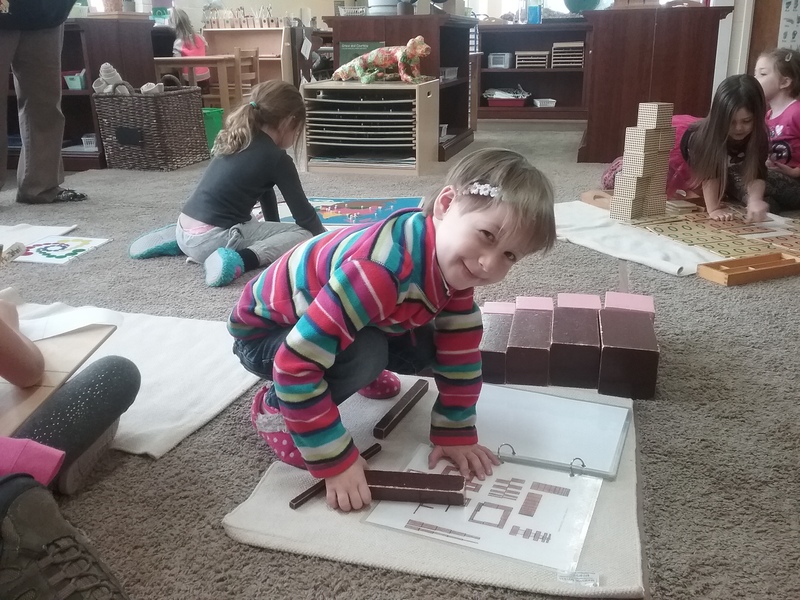 The introduction of beads shows the kindergarteners a solid correspondence between the written symbol and physical quantity. We also discussed what tools could be used in their own classroom to help with addition, such as the table top rods, color bead bars and addition strip board. We briefly touched upon dynamic addition with exchanges (carry overs). We then introduced multiplication. 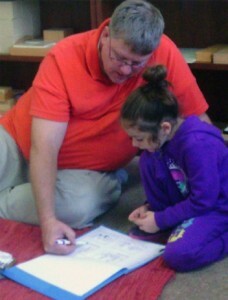 I explained multiplication is simply adding many times. We introduced fractions the last week of the month. We learned that we can divide anything as long as it can be divided into equal parts. 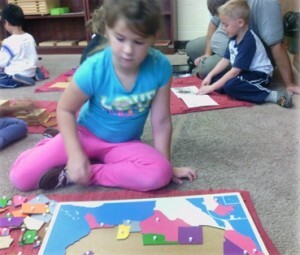 Even our kindergarten class can be divided! 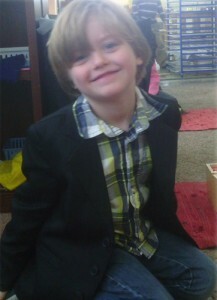 We divided our class from girls/boys, Mr. John’s, Ms. Kate’s, and Ms. Sabrina’s class, and eye color. We then learned about different shapes. We knew that a triangle has three sides but we learned that a triangle with three equal sides is called an equilateral triangle, with two equal sides is an isosceles, and with no equal sides it is called a scalene triangle. Any shape with four sides is a quadrilateral. Some examples include a square, rectangle, rhombus, trapezoid, and a chevron. We realized that the Greek language was very important when learning about the pentagon, hexagon, heptagon, octagon, nonagon, and decagon. 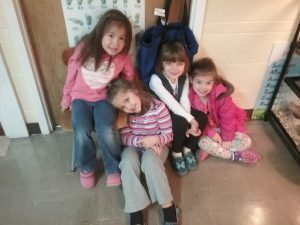 The Kindergarteners now can count to 10 in thirty different languages…English (that is our native language), Spanish, Sign Language, German, French, Japanese, Greek, Arabic w/Lebanese dialect, Italian, Romanian, Russian, Hebrew, Swedish, Korean, Polish, Hungarian, Tagalog, Hebrew, Korean, Hungarian, Polish, Irish, Kiswahili, Welsh, Dutch/Flemish, Serbo-Croatian, Cebuano, Malay, and Hindi. Posted on January 1, 2014 at 3:01 am. 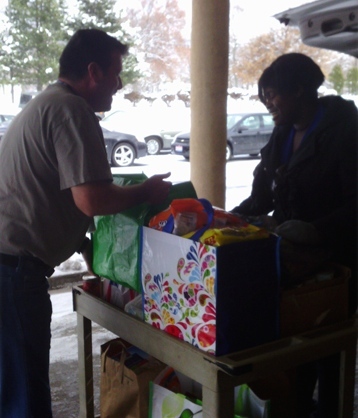 We all returned to school after a well rested, extended winter break. Due to the long break we did a refresher week covering the classroom ground rules. We went over the four basic rules of: 1) No running in the classroom. We do not run because we can get hurt or hurt someone else. 2) Use our listening ears. 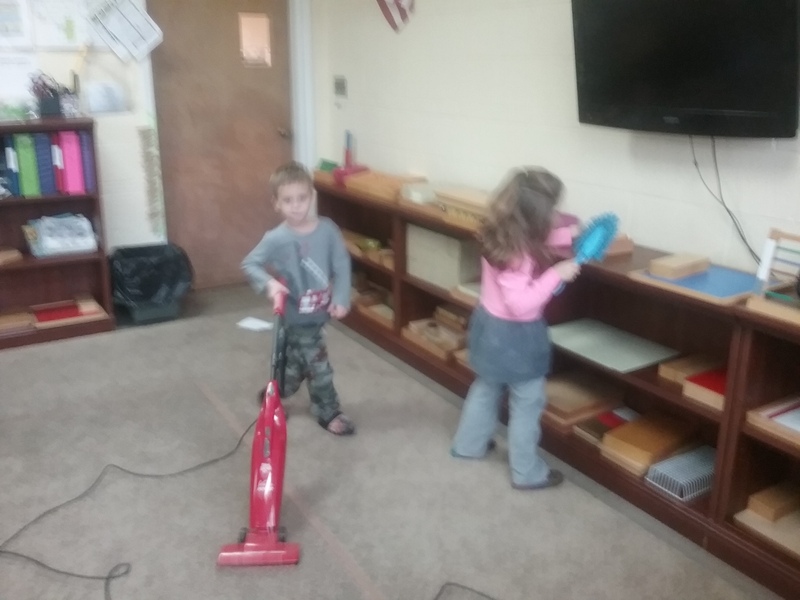 The students pay attention to the teachers during line time and before cleaning the room and line time. Important information is shared during line time and listening is a sign of respect and courtesy. 3) Keep our hands to ourselves. We do this to honor other student’s personal space. In addition, we do not hit, punch, push or do anything to physically hurt other students. 4) Respect others. This is basically being nice to your fellow students. Use nice words, smile instead of giving mean faces, sharing, and helping those in need. We sniffed, touched, heard, saw, and even tasted things around us. We learned about our 5 senses. 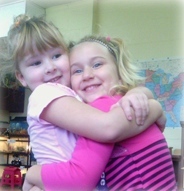 Our sense of touch can determine if something is cold or hot, rough or smooth, hard or soft. We also learned that we can feel on any part of our bodies. When we feel something it sends a message from your skin to your BRAIN. The sense of smell captures scents in the air, goes in our noses, and sends a message to the BRAIN. We learned the sense of sight happens with our eyes. The eye captures light; the light passes through the eye and sends a message to the BRAIN. The ear provides our sense of hearing. The ear captures sounds, the sound travels through the ear canal, hits the ear drum, the ear drum vibrates and sends a message to the BRAIN. The sense of taste happens in the mouth particularly on the tongue. The taste buds on the tongue capture the taste and send a message to the BRAIN. We did have a taste test of sweet (sugar water), salt (salt water), sour (lemon juice), and bitter, my favorite (unsweetened baking chocolate). For the baking chocolate we use most of our senses. We started out by looking at the pieces of chocolate. 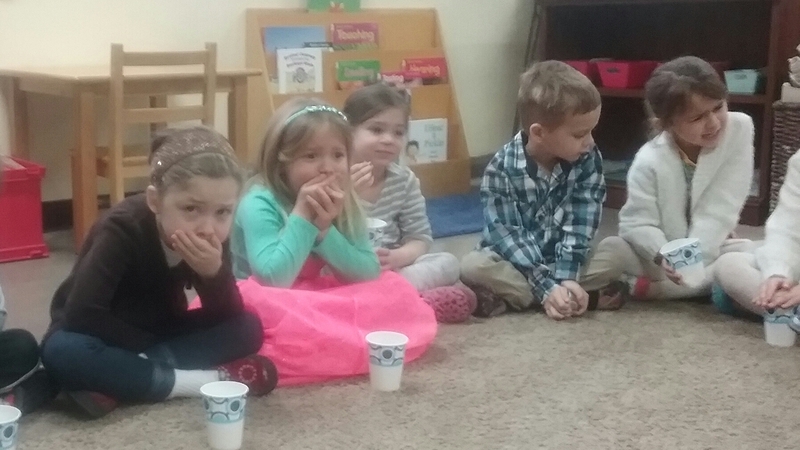 Then we felt the piece of chocolate and smelled the piece of chocolate. THEN… we tasted the piece of chocolate. 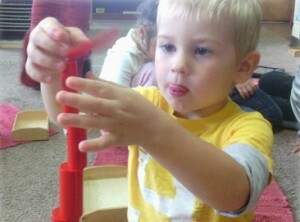 (If it looks like a duck, it may not be a duck) I have to admit this is one of my favorite activities on line time. 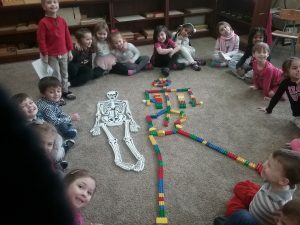 We ended the month about learning about our body. We looked at the skeletal system and if we didn’t have a skeleton we would be one messy blob on the ground! 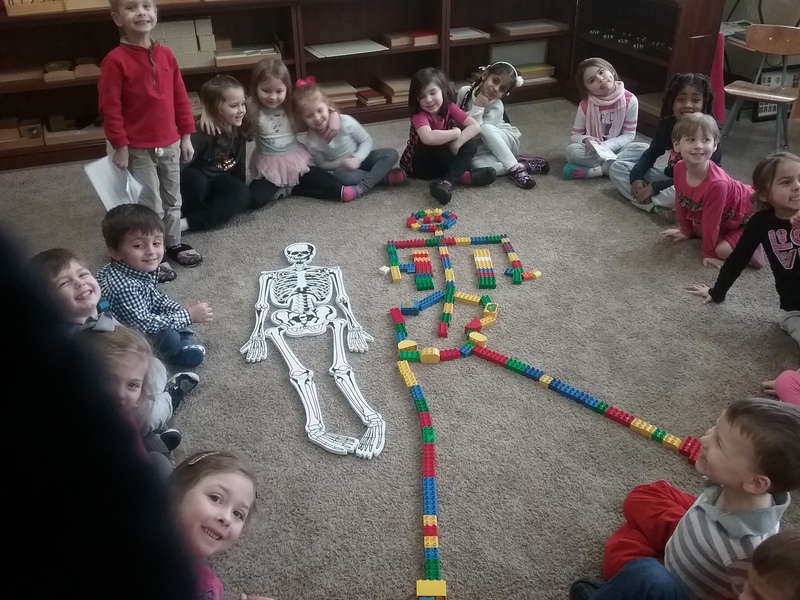 We learned the skull protects our brain, the rib cage protects our lungs, and the spine keeps us sitting and standing straight. We learned technical terms for our arms, leg and our digits which is a funny name called phalanges. We brought our life sized foam puzzle into our room. His name is Elvis because we learned about the pelvis and it was a cool rhyming name. This month we started our unit in Math. We learned about the unit (ones), ten, hundred, and thousand columns. 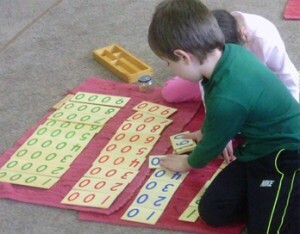 The kindergarteners composed numbers, and were introduced to dynamic and static addition (with and without carry overs). During line time lesson we can count to 10 in nineteen different languages (English, Sign Language, German, French, Greek, Japanese, Arabic w/Lebanese dialect, Italian, Russian, Romanian, Swedish, Tagolog, Hebrew, Korean, Hungarian, Polish, Irish, Kiswahili, and Welsh. In kindergarten we can count in the same languages with the addition of three languages (Dutch/Flemish, Serbo-Croatian, and Cebuano). Posted on November 1, 2013 at 2:55 am. At the end of the third month of school my classroom is running like a well oiled machine. 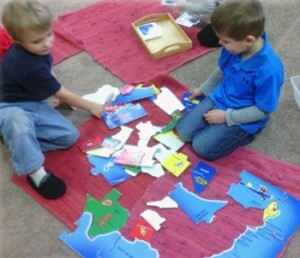 Children are advancing nicely in math, reading, and their social skills. Dana, Kathleen, and I are pushing for more “Thank Yous, Pleases, and You’re Welcomes.” When we call a name we are expecting a “Yes, Ms. Kathleen or How can I help you Ms. Dana?” rather than “What? or Ya?” I want to tell the parents of the older children in the classroom… “Be Proud!” They are taking a leadership role like I’ve never seen. 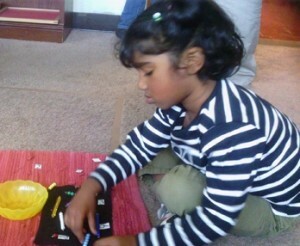 They are helping younger children and helping each other with more challenging work. I wanted to once again thank Dana and Kathleen for their hard work and dedication. They step up and just do what needs to be done without me asking. After learning about the five major classes of animals at the beginning of the month, we looked at some creepy crawlers. We studied insects and arachnids. These were the first animals that were not classified as vertebrates instead are called invertebrates. We discovered most have an exoskeleton. We now know insects have six legs, a head, thorax, and abdomen and arachnids have eight legs. 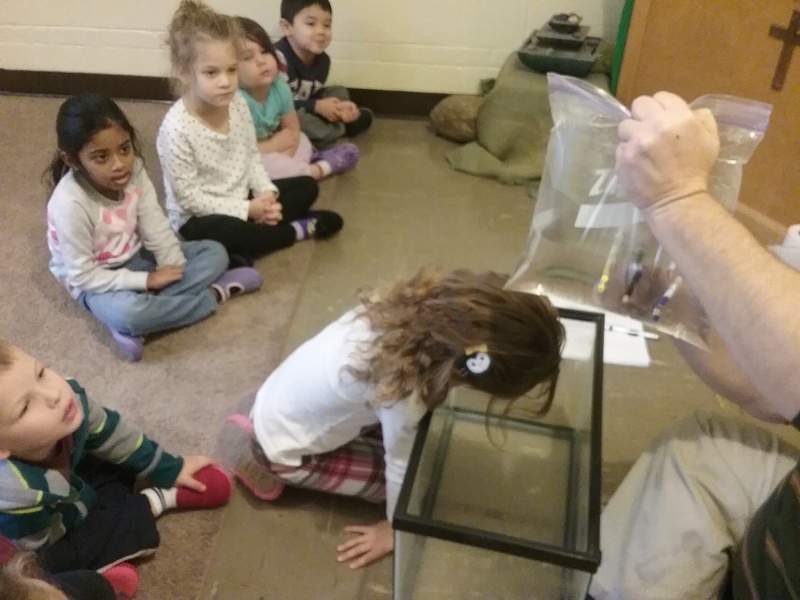 Also, students learned all bugs are insects but not all insects are bugs!!! We then learned about Pilgrims and Thanksgiving. Students worked on a craft where they wrote what they were thankful for on feathers. The feathers were put on turkeys that we placed on the bulletin board. Hand print turkeys and pilgrim hats were also made for the holiday. Our final week in November, which was a short week, I managed to slip in a “lesson” on Buckeye Football. It was appropriate since “THE GAME” was that Saturday. 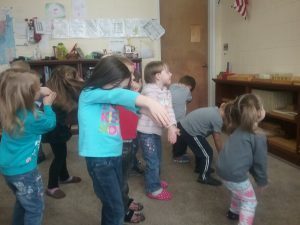 If your child hears someone shout O-H they will give a resounding response of I-O! They know Hang On Sloopy is the official rock and roll song of Ohio and will yell O-H-I-O and do the hand gestures as they sing the song. 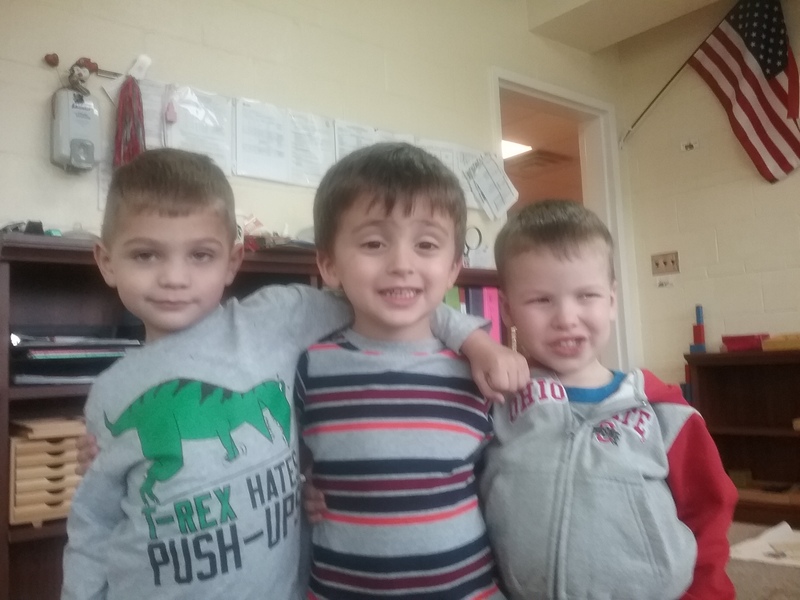 We watched several Ohio State Buckeye video highlights and the children especially loved “Script Ohio” 42-41 Go Buckeyes!!! 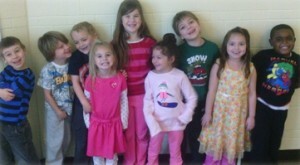 We spent the majority of our group time together in December practicing for our Christmas program. 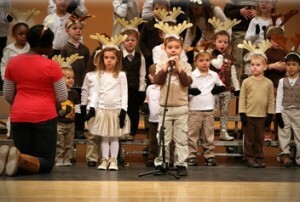 Our little reindeer performed nicely. My big reindeer did a fantastic job getting our students ready for the show! We can count to ten in 15 different languages. 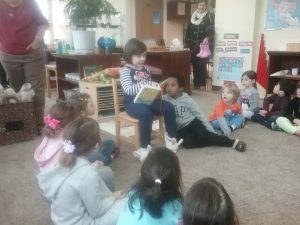 We can count in English, Spanish, Sign Language, German, French, Japanese, Greek, Arabic (with the Lebanese dialect), Italian, Russian, Romanian, Swedish, Tagolog, Hebrew, and Korean. The kindergarteners are learned how to tell time. We ended our section of telling time by learning how to tell time to the minute. 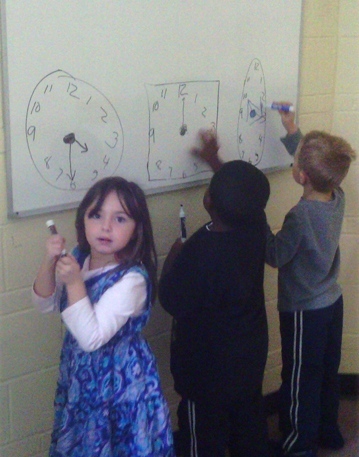 We have done many worksheets, use flashcards, and use a toy clock with moveable hands to help us learn to tell time. Then we delved into everyone’s favorite thing…money. We learned about coins. What they look like and how much they are worth. 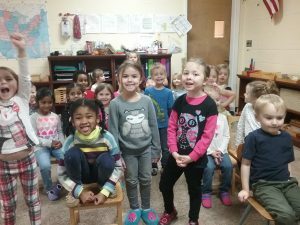 The kindergarteners learned how to count coins when presented with multiple coins of different denominations. We went over bills including the ever elusive two dollar bill. 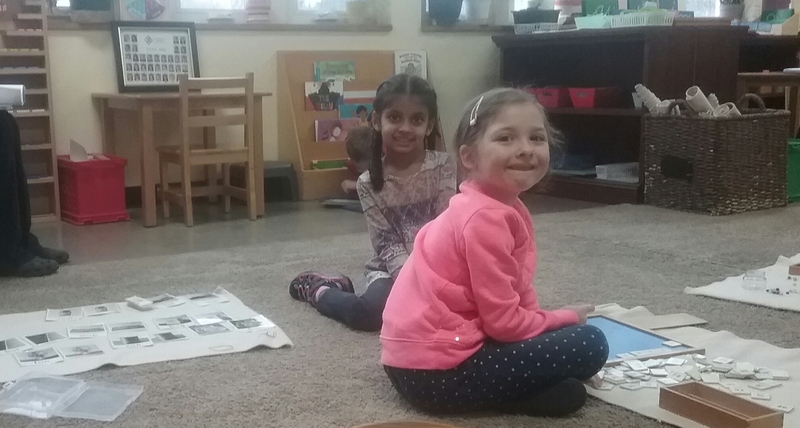 We ended November with learning the parts of plants, flowers, and leaves. 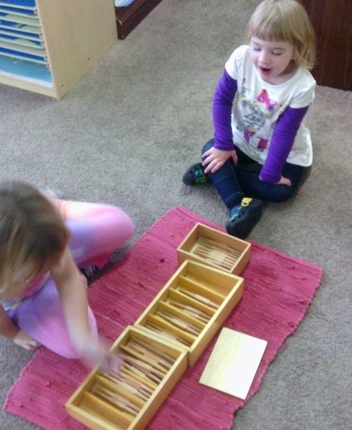 In December the kindergarteners discovered the ruler. They first learned to measure lines in inches and centimeters and ended up measuring things around the house. 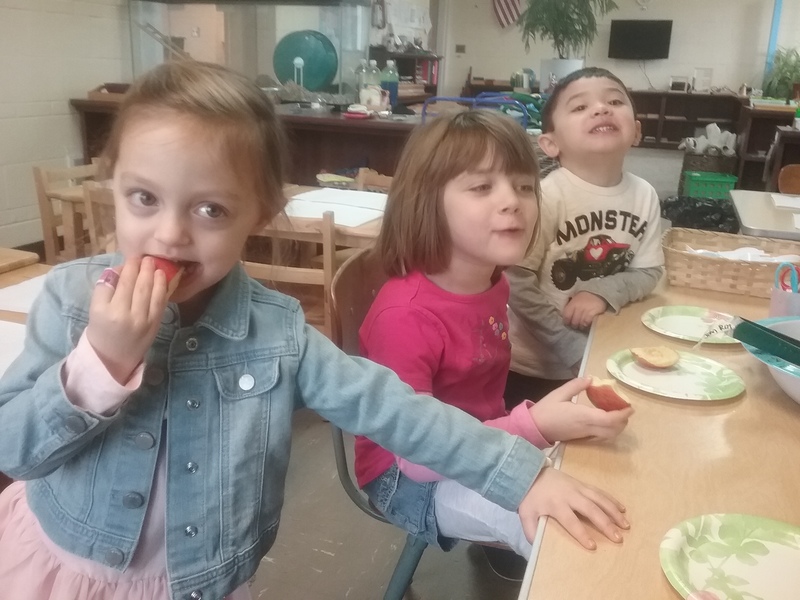 The kindergarten class can count to ten in 17 different languages… English, Spanish, Sign Language, German, French, Japanese, Greek, Arabic (with the Lebanese dialect), Italian, Russian, Romanian, Swedish, Tagolog, Hebrew, Korean, Hungarian, and Polish.